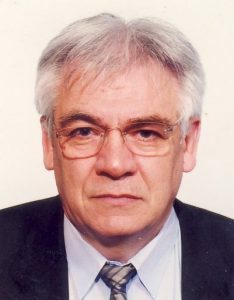 Head of Study: Prof. Dinko Mikulić, Ph.D. Abbreviation: prof. spec. ing. logist. The duration of the specialist graduate professional study of Management of Logistic Systems and Processes lasts four semesters or two years. Students acquire the necessary knowledge in technical, transport and business logistics, and other branches of logistics through elective courses. The need for logistics specialists exists in all public services (army, police, protection and rescue) and the national economy. This interdisciplinary study program which interacts with more disciplines to solve logistic tasks has been started because traditional disciplines alone are not able to solve complex problems. The purpose of the study programme is education of personnel who will establish and lead the logistic management. Full title of the study programme “Management of logistic systems and processes” indicates education of persons in charge of planning, organizing and implementing logistic systems. In accordance with the profession standards and the Croatian Qualifications Framework, students who graduate gain the title of professional specialist engineer of logistics, short prof. spec. ing. logist. The study is based on knowledge and skills that guarantee the successful logistical support to complex systems. It provides the necessary knowledge of logistics management and is especially suited to persons who want to work or already work in logistics and want further education. management of material and finance business systems. Elective course proposed by the user.